Winifred Arlene Andrick, 90, of Huntington, WV passed away on November 12, 2016 at the Woodlands Health Care in Huntington, WV. She was born December 23, 1925 at Walker in Wood County, WV, the daughter of the late Herbert F. and Catherine A. Newbanks. She graduated from Parkersburg High School and The Mafredi Modeling Academy in Cleveland, OH. There, she modeled for fashion accounts and a weekly television show. Career photos appeared in Life magazine and the Avisco News. Arlene and George moved from Cleveland to Huntington in 1947. After coming to Huntington, she was named coordinator and instructor of modeling for the Mademoiselle magazine fashion shows at The Anderson Newcomb Company held annually in conjunction with Mademoiselle Magazine for college students. She also conducted Beauty Workshops for Seventeen Magazine at Stone and Thomas department store. She has always been involved in community affairs. She was active in the PTA during elementary school years and served as President of Gallaher School PTA. She has been a volunteer at The Huntington Museum of Art for many years. She served as General Chairman of the second Open Door Campaign and as a member of the Board of Trustees. Arlene was an active supporter and member of the YMCA, including Chairman of the Annual Membership Drive and President of the Y-Riverside Swim Team Boosters Club. She was the first women to serve as a member of the YMCA Board of Directors and served as a member of the YMCA Advisory Board. In 2006 she was awarded the Flo Stone Service Award and in Past Service Award in 1975. Arlene is a Golden Life member of The Woman’s Club of Huntington serving in various offices over the years. She was Chairman of the Junior Department 1959-60. She was in the pioneer group of volunteers at Cabell Huntington Hospital. A past member of the Ivy Club, The Square Dance Club, The Huntington Cabell Republican Woman’s Club, served two years on the board of ARTS Resources for the Tri-State. She is a member of the Fifth Avenue Baptist Church, PEO Chapter 1, and the Huntington Rose Society. Arlene is preceded in death by a sister, Eileen Roberta Buckanan of Winfield, WV. She is survived by her husband of 71 years, George R. Andrick, former General Manager of WSAZ Television 3. 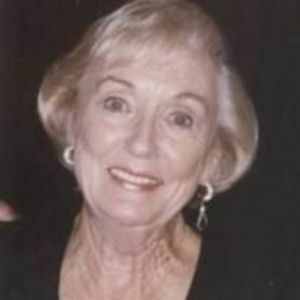 She is also survived by two sons, Dr. Jett S. Andrick and his wife Lynn of Knoxville, TN and Todd F. Andrick and wife Beth of Cummings, GA; Four grandchildren, Alyssa Ray Acree (William B. III) of Atlanta, GA, Leah Arlene Gerken (Adam) of Maryville, TN, Nicholas N. Andrick, Rachael Virginia Andrick of Cummings, GA; Five great grandchildren, Drew Katherine Gerken, Jack Joseph Gerken, William B. Acree IV, Elizabeth Jett Acree and Julia Rae Acree; one sister, Maxine Doak and husband Harold of Boaz, WV; two nieces, Kathy Laws of Mechanicsville, VA and Candice Booth of Winfield, WV. Funeral service will be held at Noon, Tuesday, November 15, 2016 at Klingel-Carpenter Mortuary by Rev. James H. Morgan. Friends my visit from 11 until service time. There will be a celebration of life at The Woodlands from 2-4 pm. Memorials may be directed to the Marshall University Foundation for the George R. Andrick Scholarship Fund, Hospice or the Huntington Museum of Art.